Hi, Have you get the latest promotion code ? Hello, just to check if the promo code is released? Not yet, I will post out the promotion code immediately upon I receive it. "Unfortunately the Promo Codes are not ready because we need to get the landing pages with the terms and conditions online first. As soon as they’re live I’ll send through." I try to book a car from 1/10~1/19 in 2016, but the INEEDABREAK code doesn't work as there was no difference in the price with and without the promo code. Could you help to contact the ACE to make sure the promotion code is really ready for the online booking? Okay, let me help you on this. I will check with them. "I just checked with the guys and unfortunately the way our system works is if a blackout date is included it doesn’t apply the code at all. If you change it to Jan 11 to Jan 19 it should work. I’m also going to fix the terms because it’s unclear that the 10th is included in the blackout dates." Anyway, I am asking him for the meaning of blackout date. I will be on vacation start from tomorrow till next Thursday, I may not able to reply you....but I will try to sort out for you. I want to book a car between 9 Apr 16 and 24 Apr 16. Do you have any discount code for this early reservation? Many thanks! I have tried this code, but it only offers 5% off..... Do you have any other code with more discount? Sorry, I have no other code available. I think you don't need to rush for booking. Normally, ACE will release new code for the following months. You can wait but not guarantee. 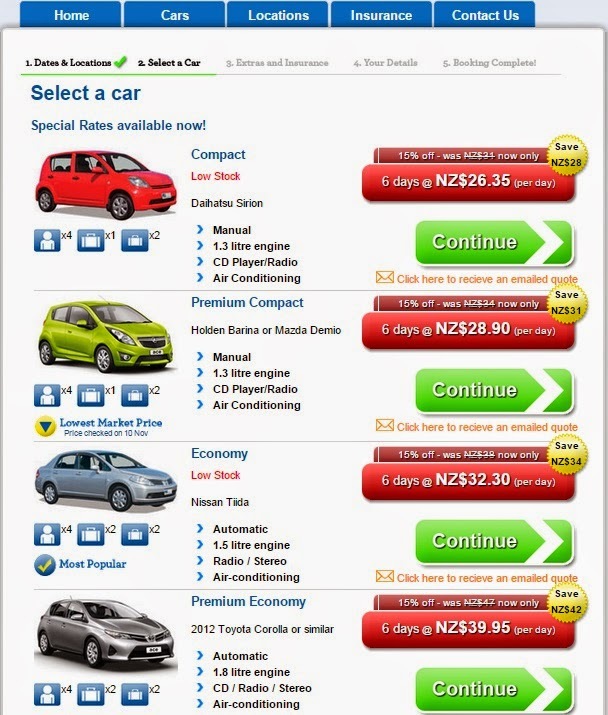 Dear sir, I would like to rental a car at Christchurch from 2nd Apr to 10th Apr, 2016. Please kindly advise on the promotional rates if there is. Appreciated. Dear sir, I would like to rental a car at Christchurch from 26 Jul to 5th Aug, 2016. Please kindly advise on the promotional rates if there is. Appreciated. Hi Damon, yes you can use this code FBPROMOCODE for 5% off. Since your travel period is far long from now, I suggest you to wait for next two months, there might have new code come out. Hello, im going to rent a car from 12/9 to 12/24 pick up point CHC airport. Wondering if there is any promotion code better than 5%off available soon? Appreciated. Sorry Yvonne, no for this moment. You may need to wait for months later. I am sure ACE will announce a code in later stage. Is there any promotion code for NZ from June 2016? Still early, please wait for next two months first. I am not sure when ACE will release a new code. 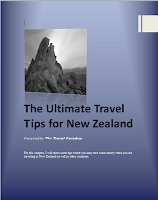 Can you share promotion code for NZ from August 2016? Thank you very much. Hi, it's great to read your post. Thank you so much. I will go to NZ this december. I m planning to use the code kiwicard. Do i actually need to present that card when i pick up the car? Sorry Sir, i have no idea on this.